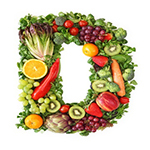 Erin L. Nissley, The Times-Tribune, Scranton, Pa.
About 75 percent of local cancer patients studied over a two-year period had below-average vitamin D levels, a local radiation oncologist discovered, adding that more study is needed to see what those findings might mean for treatment. Christopher Peters, M.D., with Northeast Radiation Oncology Centers, said he noticed the vitamin D deficiency in patients he treated and decided to study the issue further. Tom Churilla, a third-year student at the Commonwealth Medical College and a Scranton native, worked with Dr. Peters and radiation oncologist Harmar Brereton, M.D., on the study. Dr. Peters and Mr. Churilla presented their findings last week at the national meeting of the American Society for Radiation Oncology. To perform the study, Dr. Peters and Mr. Churilla identified more than 150 patients diagnosed with a variety of cancers -- most often breast, prostate, lung, colorectal or thyroid -- between 2008 and 2010. What they found was that 75 percent of the patients they studied had low levels of vitamin D, with a median level of about 23.5 nanograms per milliliter. Anything below 30 nanograms per milliliter is considered "sub-optimal," Dr. Peters said. The study also found that patients with low levels of vitamin D often had a more advanced stage of cancer, Dr. Peters said. Vitamin D is found in a variety of foods, including fish, fortified milk and eggs. Sunlight also contributes to a person's production of the vitamin, which helps the body absorb calcium and maintain normal levels of both calcium and phosphorus in the blood. Dr. Peters said he is not yet sure why many local cancer patients studied had vitamin D deficiencies, adding that patients who had low levels saw improvement when they began vitamin D replacement therapy under the supervision of oncology center nutritionist Mary Klem, R.D. Further study needs to be conducted to understand the relationship between vitamin D and cancer, Dr. Peters said, especially whether raising vitamin D levels can affect treatment. "We need to follow the patients for a lot longer," Dr. Peters said. "This study does not show cause and effect."